Welcome to Fund This, a new column here at Tubefilter. Each week, we’ll look at a planned web series or other online video project currently in search of funding on Kickstarter, Indiegogo, or any other similar crowdfunding sites. We’ll tell you what the series is all about and explain why it is worth your money. Do you have a project that’s currently being crowdfunded? Contact us to let us know and we may feature it in upcoming installments and check out previous installments right here. Description: As with many other web series inspired by The Lizzie Bennet Diaries, Classic Alice takes a modern approach to classic literature. Its protagonist, Alice, is portrayed by series creator Kate Hackett and is obsessed with books. 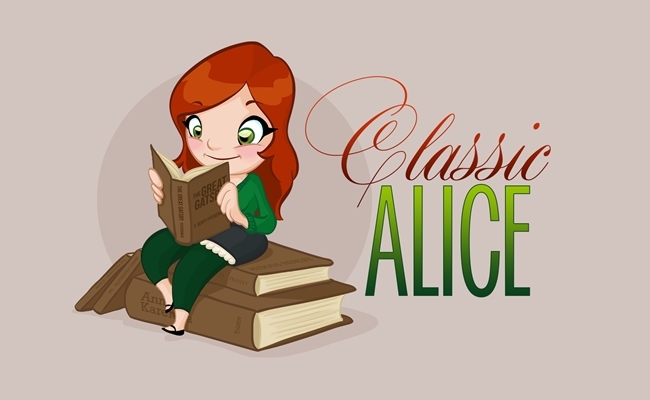 Over the course of the first 30 episodes, Alice dives into a number of famous novels and begins imitating the characters she reads, acting out their mannerisms in her own life. Now, Hackett and her team are looking to #SaveAlice. Should they raise the money they are asking for, they will shoot “Books 8 & Beyond,” suggesting new entries to the Classic Alice canon. Best Perk: Lots of Classic Alice‘s perks are fittingly literary. At the $45 level, for example, “Alice” will choose and recommend a book that fits each backer’s specific interests. Why You Should Fund It: There are a lot of web series utilizing a similar formula to the one Classic Alice employs, but Hackett’s show is one of the most interesting and cleanly-shot implementations of the Lizzie Bennet format. The decision to spread a narrative across multiple books keeps Classic Alice fresh while still allowing it to develop its characters in the way its fans want. It’s the sort of web series a cool English teacher would assign, and for that reason, bookworms should be particularly interested in checking it out.